Based on the work of E.J. 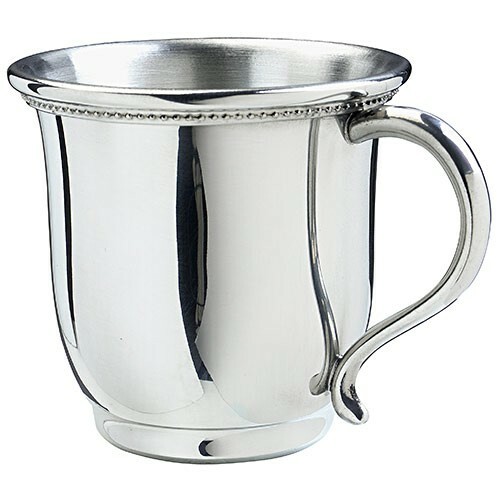 Johnson out of Macon (circa 1851), the Pewter Georgia Baby Cup features a modified pear shape, distinct base and decorative trim below the lip. 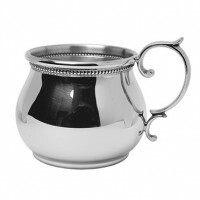 It is one piece from the Georgia Cup Collection, all well-suited for engraving. 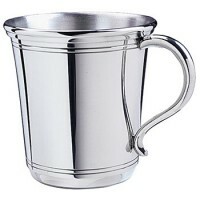 Gift boxed for presentation. 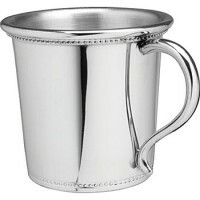 Any text is possible - try baby's birth date, or even "Love, Grammy"
Add a special message here for the opposite side of the cup. Use this line for the remainder of your special message. 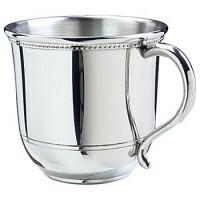 Salisbury Carolina Pewter Baby Cup - 5 Oz.